Editor’s note: This story was updated at 10:57 a.m. Wednesday. Despite losing part of his base to a rival conservative candidate, Gov. Phil Scott on Tuesday won the Republican gubernatorial primary and now must face Christine Hallquist, a liberal Democrat and the nation’s first transgender major-party nominee for governor. After a raucous internecine battle over gun control measures he signed into law in the spring, Scott emerged a big winner against fellow Republican Keith Stern, garnering 65.4 percent of the vote with 272 of 275 districts reporting. The incumbent governor defeated the Springfield resident by a vote of 24,142 to 11,669. REPUBLICAN NOMINEE: During the primary campaign, incumbent Gov. 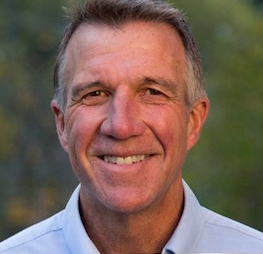 Phil Scott touted multiple accomplishments he claimed were achieved during his first term. “I want to thank those Republicans who have stuck with me through thick and thin, and all those who have put aside partisanship to engage in the primary. It says something very important,” Scott said in his acceptance speech. “I know there are some who are still upset with me, who may not welcome tonight’s result, but there is so much more that unites us than sets us apart,” he said. Scott touted a 19-month record as governor that included reducing income tax rates by $30 million, eliminating the tax on Social Security for some Vermonters, and preventing a $71 million property tax rate increase. He said his administration has expanded treatment for opiate addiction, invested millions in affordable housing and presided over a 4,500-person rise in the labor force. Hallquist, the former CEO of the Vermont Electric Cooperative, ran on a highly progressive agenda of universal health care, a $15 minimum wage, 90 percent renewable energy by 2050, and high-speed fiber-optic internet for every home. She defeated her three rivals by garnering 27,622 votes, about 39.4 percent of the 70,007 votes cast in the Democratic primary. The Republican Governors Association released a statement Tuesday night suggesting Hallquist’s agenda will significantly raise the tax burden on Vermonters. In the first state primary election since 2016, Vermonters cast their ballots Tuesday for a variety of candidates including governor, the U.S. Senate and House, several state office posts, and state legislative spots. In the race for U.S. Senate, Sen. Bernie Sanders easily won while running on the Democratic Party ballot. Sanders’ challenger on the Republican side will be H. Brooke Paige, who narrowly defeated Lawrence Zupan by a count of 9,782 to 9,308. Paige also won the Republican nomination for U.S. House, setting up a run against Democrat U.S. Rep. Peter Welch, who handily defeated Dan Freilich with almost 81 percent of the total votes. The Washington resident has said he plans to withdraw from the race to let the Vermont GOP pick a better-known candidate to run against Sanders and Welch. In addition to challenged U.S. House and U.S. Senate races, Paige ran unopposed for attorney general, secretary of state, treasurer, and auditor of accounts, all on the Republican ticket. In the lieutenant governor’s race, Republican House Minority Leader Don Turner ran unopposed and received 28,282 votes. Turner will face incumbent Democrat Lt. Gov. David Zuckerman, who also ran unopposed and received 59,236 votes. 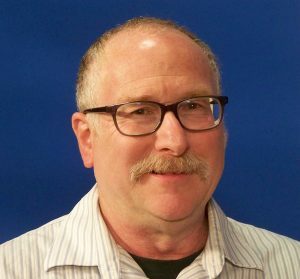 Keith Stern’s perceived lack of polish and weakness in discussing a variety of issues, turned off enough Republicans to send the governor on to the general election in November. In his race against Scott, Stern made the governor’s flip-flop on gun control the primary focus of his campaign. Scott supported gun-control measures earlier this year, which angered many conservative voters. But in the end, Stern’s perceived lack of polish and weakness in discussing a variety of issues helped Scott skate to victory. The governor also had the endorsements of former Gov. Jim Douglas of Middlebury, and former Lt. Gov. Brian Dubie. But Stern didn’t mince words when it came to criticizing Scott for embracing left-wing social agendas. In Chittenden County, all six incumbent state senators won their party’s nomination to run for re-election in the fall. Senate President Pro Tem Tim Ashe was the top vote-getter with 13,521 votes. State Sen. Chris Pearson got in with the least amount of votes among the incumbents, with 9,026. Republicans, hoping to break up that six-pack of liberal senators, picked Alex Farrell with 3,598 votes. Dana Maxfield came in a close second with 3,325 votes. During the GOP U.S. Senate primary contest, Zupan and Paige were like oil and vinegar poured into the same constricted cruet bottle. Paige, a multi-office candidate who perturbed both Secretary of State Jim Condos and some Republican leaders for acting as a self-appointed party “place holder,” said he runs for multiple positions to stop Democrats from writing-in inferior candidates in the Republican primary to “sabotage” the ballot — a subversive activity made possible in Vermont’s open primary system. On Monday, Paige posted a political ad designed to tweak Zupan, who sometimes is seen in photos crossing his arms. Paige also took a Facebook jab at 1970s former Vermont Assistant Attorney General Bob Orleck, of Randolph, who has been a critic during the 2018 primary campaign. Since Vermont law calls for open primary elections, voters are not required to register with a political party. Three ballots are issued — Democrat, Republican and independent — with voters choosing one of the three. Winners of Vermont primary elections are decided by a voting plurality: the candidate with the highest number of votes wins. Primary candidates in the Green Mountain State can win even without a majority of votes cast. However, if a tie occurs, a runoff election must follow by law. Lou Varricchio is a freelance reporter for True North Reports. Send him news tips at lvinvt@gmx.com. Bruce Parker contributed to this story. Time to get behind Governor Scott, we will never agree on everything nor should we try to but Phil Scott is a proven leader who has tried to keep Vermont affordable and free. The Hallquist policies would be disastrous for Vermonters. Higher taxes, more regulation and loss of freedom. Many Vt liberals must feel intelligent and morally superior by voting en vogue, they actually would be intelligent and morally superior if they would vote for a candidate with smart, sustainable ideas that can be paid for. I did not vote for Phil Scott, with that being said Congratulations !! will see double the number for Republicans. cannot afford this combo Free, Free, Free………. God Help Us !!!!! You are right, They are both Bernie want-to-be’s. Where oh where is Vermont headed?